Our installers are professional tradesmen with years of experience in roof joinery & roof coverings on all types of building projects. 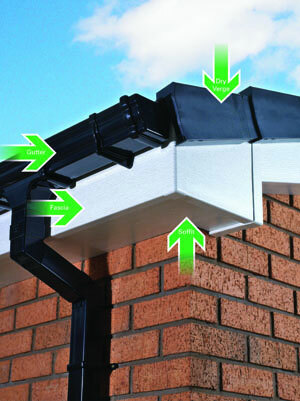 We not only replace your fascias & roofline but also check for any rot or water ingress into your building that may not be obvious to the untrained eye or from the ground floor. Customers can confidently expect a lifetime of leak-free, maintenancefree protection from their Tuffstuff installation. The membrane's extremely hard wearing structure installed onto a new timber decking tolerates foot traffic and resists attack from ultra violet light. Developed through 25 years' experience in the manufacture and installation of GRP flat roofing, TuffStuff is fully integrated - all components are designed to work with each other to produce a robust, heavy-duty membrane for faultless waterproof performance. 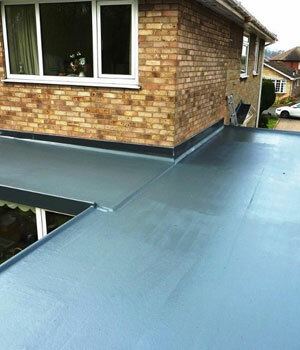 With no seams or joints which are prone to leakage in other roof systems, TuffStuff's seamless membrane is formed in situ and fully bonded to the roof deck. To demonstrate TuffStuff's durability every Contractor receives a 20-year Product Warranty and naturally he will take responsibility for his own workmanship.